What is a Spinal Decompression Machine? Dr. Richard Fair was born in Pittsburgh, PA and raised in Weirton, West Virginia. He attended West Virginia University where he earned his Bachelor of Science degree in Exercise Physiology. Upon graduation, he accepted a position as an exercise physiologist in a physical therapy clinic. A year later, Dr. Fair decided to further his education at Palmer College of Chiropractic in Port Orange, FL where he earned his Doctor of Chiropractic degree. During his time at Palmer, he was an active member of the Sports Council, where he provided care for many of the events and athletes at the school and in the surrounding community. Dr. Fair was also fortunate enough to participate in Palmer’s clinic abroad program, providing basic first aid and chiropractic care to many of the underprivileged communities throughout the main Island of Fiji. He is currently board certified and holds a license in the state of Florida. 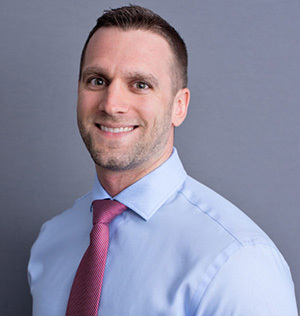 With his educational background and interest in living a healthy lifestyle, Dr. Fair strives to provide health and wellness to the surrounding community. Dr. Fair has been an Associate Chiropractor at Rivera Family Chiropractic since June of 2014.